I’ve lost my camera!! I’m devastated!! Himself is convinced it’s just hiding in some part of the abode after my latest spring clean marathon, I’m going to do a big search this weekend for it, keep your fingers crossed for me please! and forgive these photos for their poorer quality – my wee iphone did the best she could!! Bad Boys (or better known as Mars Bar Delights to some of you) are quick, easy, require very little prep time and as himself always says when I make them “they taste like more”!! On a low/mid level heat, melt your mars bars and butter in a pan – make sure you break up the mars bars into small pieces so that they’re easier to melt, stir constantly – no messin’ constantly! Break up your bars of chocolate (I used a bar and a half of Galaxy chocolate) and melt, either in the microwave at 15 second increments (stirring in between each time) or in a glass bowl, with boiling water in a pot underneath – whichever you prefer! Oh my god do you want to lick the screen right now or is it just me?! – the chocolatey goodness is something else! I’m telling you, the smell of hot coffee and these beauts turns everyone around you into bloodhounds – they came sniffing from all corners of the office – luckily I directed them to the kitchen where I’d brought in another batch as I KNEW this would happen – they did not last long!! If you make these gems yourself, let me know or send me a Tweet @peppermintdolly or Instgram @peppermintdolly with your finished product! These look absolutely amazing. Thank you for sharing, I will try these! Thank you! Enjoy and please do let me know how it goes for you Leah! This looks so good! I’ll definitely have to try these out. I hope you find your camarararara. I’d shoot myself if I lost mine. Sad. 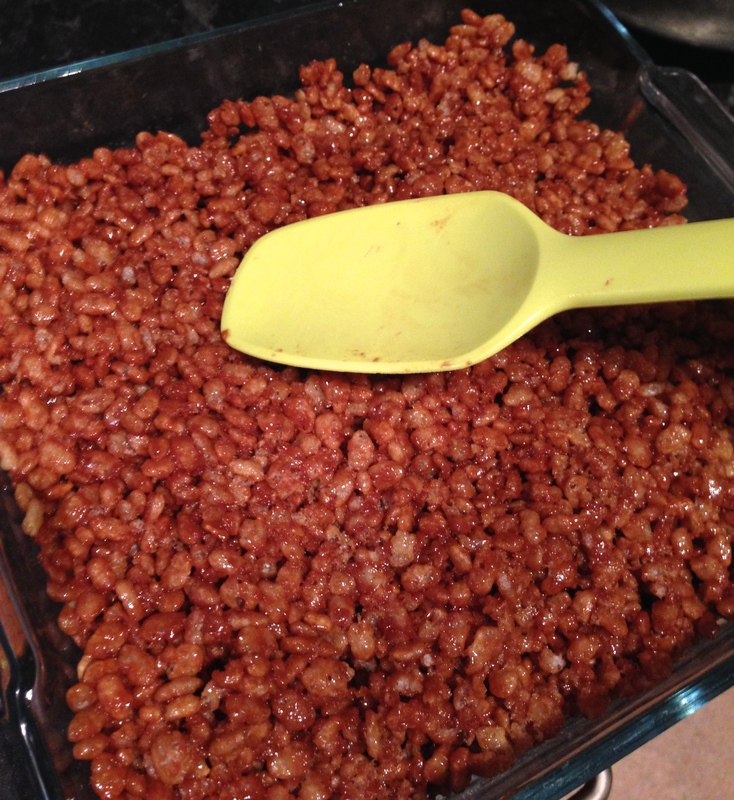 I’m dribbling….it was the chocolate-pouring-over-the-crispies that did it for me.